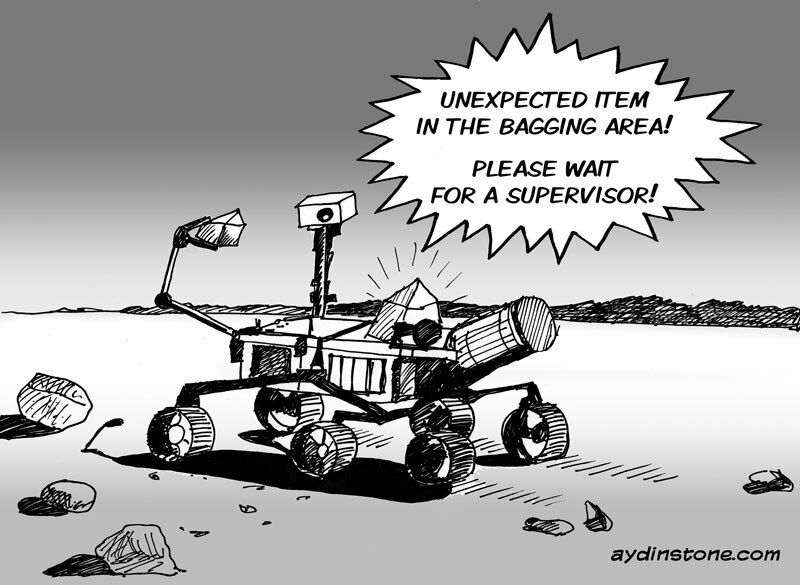 NASA’s Mars Rover Curiosity cartoon | Ding! Think the NASA scientists have Windows vs Mac like fights? :). Curiosity will not be the final. They are sending another rover in two years to Mars which it will be able digging with lazer 100 meters underground.